There’s been a lot of rumors and hearsay, but there is growing consensus on the iPhone 5 features we’re most likely to see when Apple’s sixth generation iPhone is announced. All rumors thus far have pointed towards a bigger screen – probably 4-inches, with a retina display and in-cell technology. According to design documents, The overall width of the iPhone will remain unchanged however, with the increase in screen size being achieved by altering the ‘tallness’ of the iPhone 5 alone. Despite the larger screen, the iPhone 5 is expected to feature improved battery life due to the use of more advanced display technology that reduces overall power consumption as well as the weight and thickness of the device. The iPhone 5 will undoubtedly feature a new processor, with most observers agreeing that we’re likely to see an iteration of the A6 quad core processor. Design-wise, the FaceTime camera has received a bump in resolution from VGA to HD and has been repositioned from the side of the front panel to a more central position directly above the speaker. The headphone jack too, has been relocated, from its traditional position on the top of the iPhone to the bottom. The rear-facing camera is also expected to receive an upgrade, with improved optics and an increase in megapixels. The standard dock which has been a feature on every Apple mobile product from the iPod to the iPhone and iPad, looks to be receiving a complete overhaul and replacement with a new 19-pin Mini Dock which is likely an effort to make the iPhone 5 micro-USB compliant. 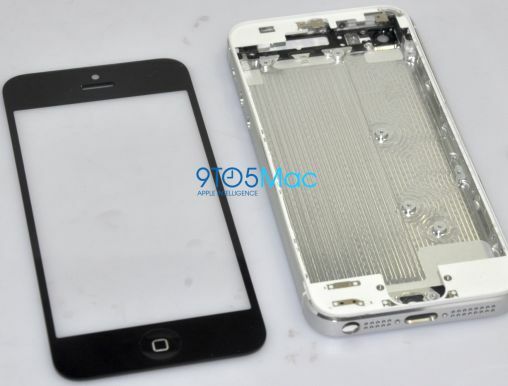 While unconfirmed, the iPhone 5 features that remain more speculative include the inclusion of NFC (near-field communications) for wireless payments and the switch from micro-SIM cards to a nano-SIM. For more details on all the iPhone 5 features we’re expecting to see, check out our complete iPhone 5 rumor roundup. What’s are your thoughts on the iPhone 5 features we’re most likely to see on launch day? Let us know in the comments below.